Kambio Performance consultants, speakers and trainers are highly skilled professionals who bring a great wealth of experience from different performance domains. All Kambio Performance consultants have Masters Degrees from well-recognized performance psychology university graduate programs. They are also recognized by the Canadian Sport Psychology Association. Jean François Ménard is widely recognized for his contributions to the field of performance psychology. At the age of 25 and fresh out of graduate school, he joined the world-famous entertainment company Cirque Du Soleil, where he coached circus artists to deal with pressure and perform at their best, on demand, up to 450 times a year. Five years later, he founded Kambio Performance and has since become one of the most sought-after mental performance specialists in the country. During the 2016 and 2018 Olympic Games, his clients stepped on the podium six times: four golds, one silver and one bronze. He is an accomplished speaker with over 500 keynote speeches delivered to a wide range of results-oriented professionals in North America, Europe and Asia. His client list includes organizations such as the FBI, Toronto BlueJays, Cisco, Via Rail, SunLife Financial, Western Union, Conference Board of Canada, and elite performers like Olympic medalists, X-Games champions, NHL players and world-acclaimed musicians. He is based in Montreal, Quebec, Canada. André Lachance is an internationally acclaimed baseball coach, keynote speaker and university professor. Over the years, André has given over 500 keynote speeches in 20 countries on various topics related to leadership, team coaching and group efficacy. André has built the first Women's National Baseball Program in Canada and has led the team as their head coach for 15 years. He also teaches advanced coaching courses at the University of Ottawa. In 2007, André was granted the University of Ottawa Teacher of the Year award for his outstanding teaching skills. André is also the recipient of the nationally respected Queen's Diamond Jubilee Medal given by the Canadian Government for contributing significantly to Canadian sport system. He is famous for his novel concepts and is known to live by an "out of the box" approach. He is a dynamic speaker who travels the globe sharing his knowledge to countless business corporations and sport organizations such as the NHL, MLB and Canadian Olympic Committee. He is based in Gatineau, Québec, Canada. Angela Malorni is an accomplished mental performance consultant and a well-respected figure skating coach. As a former international level figure skater, she clearly understands what it takes to bring a performance level to greater heights. Over the years, Angela has been busy consulting with high level athletes in 20+ different sports and within various performing arts domains across Canada, USA and Europe. A typical week for Angela can diversify from being on a sailboat prepping sailors for world-circuit races to standing near the tatami coaching judokas for major games to preparing figure skaters for world championship titles to preparing ballet dancers for world-class auditions. Her remarkable kindness, easygoing and deeply human approach makes Angela a unique consultant, especially with younger aged performers. She regularly speaks to athletes, coaches, parents, federation administrators, athletic therapists and sport massage therapists on different mental performance related skills. Angela in based in Montreal, Québec, Canada. Jonathan Lelièvre has a remarkable resume since completing his graduate studies in performance psychology at the University of Ottawa. Over the years, he has provided elite mental performance services to several high level sport programs (20+ different sports), through individual consultations and public speaking. Jonathan is a dedicated professional and lifelong learner, who spends countless of hours improving his craft through professional development seminars and self-reflection. Through his noticeable expertise, he attracts clients in all forms: athletes, artistic performers, police enforcers, musicians, firefighters, and paramedics. Amongst his extensive client list, Jonathan trains some of the best junior hockey players in Canada. His reputation is also recognized across the Atlantic in countries like France, Belgium and Morocco. 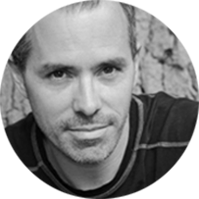 Jonathan is an active blogger and radio commentator who shares his knowledge related to performance psychology. He is based in Ottawa, Ontario, Canada. Alex Hodgins is a highly accomplished mental performance coach with a specialization in both individual and team performance. 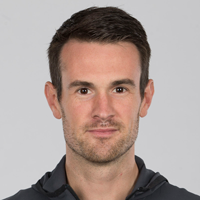 He has been the mental performance specialist over the past 6 years for the Canadian Women's National Soccer Team, working alongside some of the best coaches in the world. Together, they have built a winning culture by teaching the athletes how to play with clear intentions and confident minds. Over the years, Alex has helped athletes reach the podium at pinnacle events including the 2015 PanAms Games and the 2016 Olympic Games. This specialist utilizes advanced techniques in biofeedback, mindfulness and pressure management strategies to deliver consistent performances under the most challenging situations. His calm demeanor and his natural teaching abilities has benefited some of the most talented athletes, performers and teams across the country. He is a lifelong learner, pursuing personal and professional growth everyday. Alex resides in Vancouver, British Columbia, Canada. Sieger Roorda is rapidly becoming a well-respected mental performance consultant. A former national level flatwater kayaker and canoe-kayak coach, Sieger has a passion for finding ways to better himself and his athletes. He is the mental performance coach of the nationally acclaimed University of Ottawa's men’s basketball team. 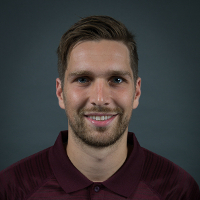 Sieger’s excellent work and positive reputation in the field allowed him to expand his position to mental performance coordinator for all varsity teams at the University. From his own sporting background to his current work, Sieger now boasts immense experience with both team and individual sports, with committed clients ranging from performance realms such as soccer, football, basketball, swimming, rugby, track and field, canoe/kayak, ice hockey, combat sports, and musical performers. He finds his personal satisfaction from helping others pursue their passions and achieve their goals though a client-first approach. Sieger works out of Ottawa and Montreal. Marie-Hélène Paquette lives a unique, engaging lifestyle! On one hand, she is busy working with a wide range of result-oriented athletes as their mental performance coach, and on the other hand, she pushes her own athletic abilities, competing in surf lifesaving races. Since graduating with a Master’s program in performance psychology, Marie-Hélène has been privileged to coach athletes from Canada, New Zealand, Australia, France, Brazil, and the United States. She has a clear understanding of what it takes to reach the top, and as a result, athletes are drawn by her innate desire to win! Over the years, her mental training coaching helped athletes reach the podium at major games, such as the X-Games and the Olympic Games. Her clientele is diversified, ranging from individual and team sports, such as snowboarding, skiing, figure skating, swimming, surfing, soccer, volleyball, baseball, martial arts, diving, and tennis. Marie-Hélène lives in Montreal, Quebec.